According to a December 2012 Forbes magazine article, Pittsburgh has the oldest population in America with 23.6 percent of the population over the age of 60, in comparison to the national average of 18.5 percent over 60. As such, Pittsburgh is poised to be an example for the nation as a pioneer in aging well. One of the areas of interest to seniors is where to live in their golden years. We are home to panoply of senior living options. Some communities are for seniors who need no assistance, others are communities known as Continuing Care Retirement Communities, which usually offer several options in senior living from independent and assisted living to nursing home care. Some offer specialized options such as Alzheimer’s or Hospice Care as well. Below is a list of some of the Pittsburgh area’s finest retirement communities. Located in Mt. Lebanon, Asbury Heights has been caring for seniors for more than 100 years. What started as an 18-person residence in Dravosburg, is now a 27-acre campus offering a continuum of care from nursing home and rehabilitation care, to independent living in apartments and carriage homes. Located in Baldwin Borough, Atria South Hills is part of Atria Senior Living, which has numerous facilities in 27 states. Atria South Hills offers supportive and assisted living options at its facility on Route 51. Bethel Park Retirement Community is part of the Holiday Retirement family of communities located throughout the United States and Canada. Bethel Park features independent living in the southern suburbs of Pittsburgh. One of its most noted activities is Seniors Serving Society, which provides residents the opportunity to work for causes they feel passionate about such as helping children to read, working with the homeless, or supporting our troops. Brookdale Senior Living Solutions operates three senior communities in Western Pennsylvania: The Devonshire of Mt. Lebanon in the South Hills of Pittsburgh, Sterling House of Penn Hills in the eastern suburbs of Pittsburgh, and Clare Bridge of Murrysville also east of Pittsburgh. The Devonshire provides independent and assistive senior living, Sterling House offers assistive senior living, and Clare Bridge specializes in Alzheimer’s care. For more than 130 years, Concordia Lutheran Ministries has been caring for seniors, and currently, operates 11 facilities in the Pittsburgh area including Good Samaritan Hospice. Concordia provides on-site and at-home care such as Adult Day Care and Tele-Caregivers. 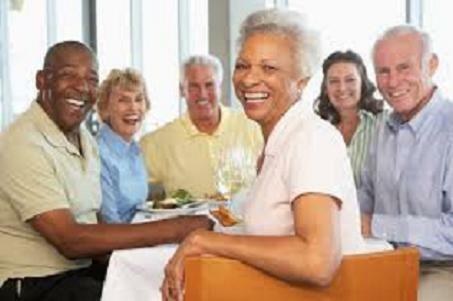 Congregate Management Services provides seniors affordable and comfortable apartment retirement residences in the Western Pennsylvania region. With more than 1,000 apartments in their care, Congregate Management Services has designed their residences with seniors in mind. Country Meadows is located on 23 acres just off Interstate 79 in Bridgeville. A Continuing Care Retirement Community, Country Meadows offers a continuum of care from independent living to skilled nursing in its 200-bed Skilled Nursing Center. With more than 500 care facilities, HCR ManorCare is one of the leaders in providing care for seniors. In the Pittsburgh region, there are more than a dozen facilities offering a wide variety of care from out-patient rehabilitation to IV care, memory care, and independent living. IntegraCare operates five state-of-the art senior residences in the Western Pennsylvania area, offering care from assisted living to memory care. Longwood at Oakmont is accredited by the CARF-CCAC, a non-profit organization which evaluates continuing care retirement communities for financial stability and quality of care. Only 11 percent of all LifeCare communities in the nation have received their seal of approval, and Longwood at Oakmont is one of those proud communities. Located in Verona, Longwood offers numerous senior living options, which are all pet-friendly. With 11 facilities or senior programs throughout the Western Pennsylvania region, there is a bound to be a way that Lutheran SeniorLife can enhance your retirement years. From retirement communities to the innovative LIFE programs (Living Independently for Elderly), where services are offered to those seniors living in their own homes, Lutheran SeniorLife provides the care needed to enjoy an abundant life. Check out their locations and services at their website. Masonic Village, located in Sewickley, offers nursing, personal care, and retirement living options at its 60-acre campus. As a LifeCare community, it provides access to health care services without requiring a change in the monthly fee structure. There are four Paramount Senior Living communities in Western Pennsylvania: Bethel Park, Cranberry, Peters Township, and South Hills. Locally owned and operated, Paramount Senior Living communities offer several levels of care from independent living to hospice care at their lovely facilities. Opened in 2009, Providence Point in Mt. Lebanon takes a different approach to retirement living placing an emphasis on wellness. In addition to lovely residences ranging from apartments to patio homes and various levels of care, Providence Point offers numerous activities and amenities such as an on-site day spa. St. Barnabas Health System was founded more than 100 years ago to provide compassionate care by Brother Gouverneur Hance. St. Barnabas has four campuses north of Pittsburgh, offering a variety of residential options and various levels of medical care, as well as operating the St. Barnabas Medical Center. Schenley Gardens is located on Bigelow Boulevard in the City of Pittsburgh. It is a facility of Blue Harbor Senior Living, which has 16 facilities in eight states. Schenley Gardens provides person, memory, and respite day care at its beautiful community. Located in McCandless Township, near McCandless Crossing, and in Upper St. Clair, these Sunrise facilities are two of the 300 Sunrise Senior Living facilities throughout the United States, Canada, and the United Kingdom. Sunrise provides four levels of care from short-term stays to Alzheimer’s and Memory Care. Its palatial Victorian facility provides and array of amenities and services. For 20 years, Traditions of America has been constructing 55+ retirement communities in Pennsylvania. The Pittsburgh area has two communities: Liberty Hills in Cranberry Township and Traditions of America at Sewickley Ridge. Each community offers homes and activities geared for an active retiree. Associated with one of the nation’s finest health systems, UPMC Senior Communities offers 12 locations throughout the Pittsburgh area, and a continuum of care from skilled nursing to independent living. Its partnership with the University of Pittsburgh’s Institute of Aging provides residents with the latest information and resources needed to enjoy their senior years. Vincentian Collaborative System operates several senior residences throughout the Pittsburgh area, including Vincentian Villa retirement community and the Vincentian Outpatient Rehabilitation Center. Want to join this list? Click here to find out how!